The exhibition Experiment Future looks into the future. The tension derived from the encounter of science and artistic research encourages discussions on this topic. Artists develop future visions and scenarios in dialogue with science institutions from Rostock. The manifold processes of our living environment have reached a degree of complexity that demands new methods for the production of knowledge. For understanding and controlling the interaction of different systems, post-disciplinary explorations of the world are needed. 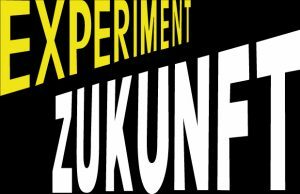 Experiment Future makes an inquiry into science and art together for a new understanding of society. What perspectives do both disciplines take on today, and what ones will they take on in the future? What methods and technologies enable a new worldview? What future images and visions can be generated, and what areas of action will open up accordingly? Experiment Future promises an “exhibition process” with fluid boundaries between everyday life and urban and natural spaces. The show functions as a laboratory where people get together for joint thinking, talking, experimenting, and creating by offering an open space where processes can only partially be controlled. It is also a provocative space where esthetic, ethical, and social norms are questioned. Furthermore, an emotional and sensual intention is aspired to, where physical experience can result in an increased awareness. The University of Rostock initiated the project Experiment Future as a highlight of its 600th anniversary, focusing on the faculty of interdisciplinary studies, with its four lines of disciple merging the university’s future-oriented research topics. The exhibition takes place between April and June, 2019, at the Kunsthalle Rostock and a few outdoor spaces. More than 20 artistic works and extensive programing will comprise the workshops, performances, and discourses. Experiment Future can be considered Germany’s first major institutional art and science exhibition. Artists: Jenny Brockmann, Ursula Biemann, Sascha Pohflepp, Center for Genomic Gastronomy, Agniezka Kurant, Markus Wirthmann, Kat Austen, Robertina Sebjanic, Geert-Jan Hobjin, Margherita Pevere, Svenja Schüffler, Evelina Domnitch/Dmitry Gelfand, Nick Laessing, Semiconductor, Public Art Lab, Erich Berger/Mari Keto, Lauryn Mannigel/Smell Lab, Anthony Hall. A project of the University of Rostock, in cooperation with the Hanseatic City of Rostock and the Kunsthalle Rostock, in the context of the double anniversaries of 2018 and 2019.